A camel, a biplane and a monster truck convene in the Californian desert. 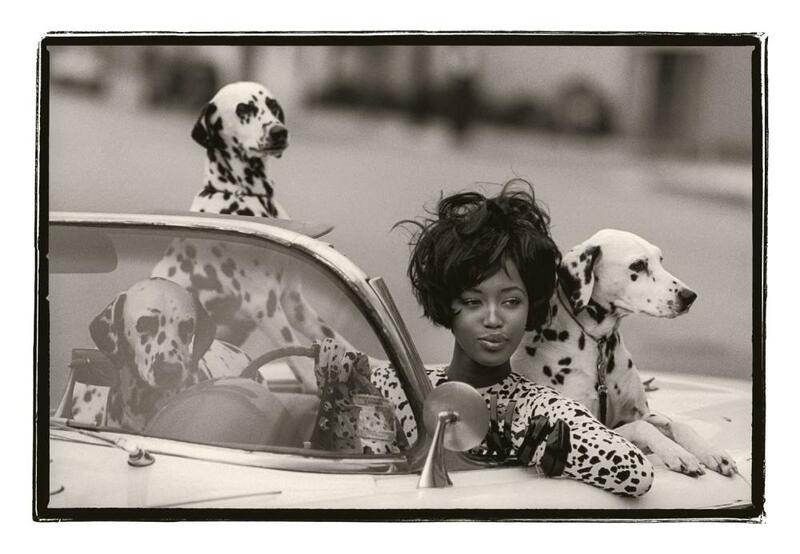 A trio of dalmatians flank Naomi Campbell in a white convertible. Nine models lounge in haute couture in an enchanted forest. A handsome spaceman washes up in his capsule on a hazy beach. 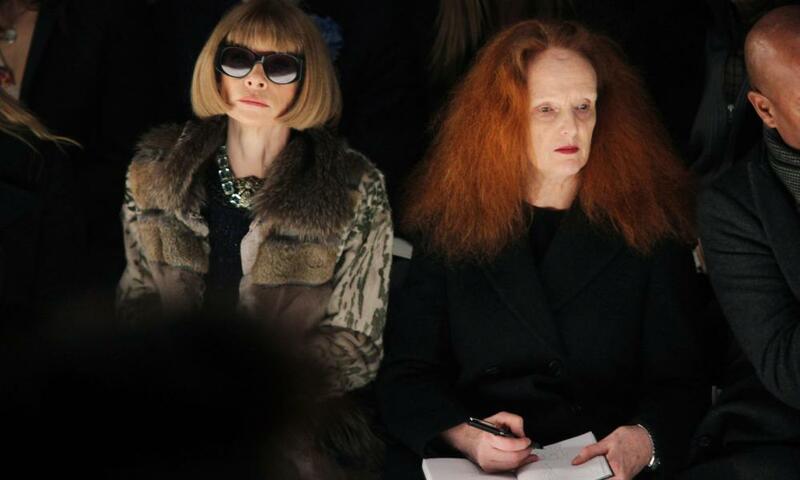 Often described as the most influential fashion editor of the past 30 years, US Vogue creative director Grace Coddington has produced some of fashion’s most memorable imagery. Her pictures might be jolly and decadent or moody and mysterious, but they always tell a story – and a sweeping, vivid yarn at that. On Wednesday, Coddington announced that she was stepping down from her role. It sounded, at first, like a subtle shift – the 74-year-old would become creative director-at-large, working on several shoots a year – but the industry’s reaction was seismic. New York Times fashion critic Vanessa Friedman described her decision as “the tectonic plates shifting”, arguing that the old guard of fashion might finally be making way for a new, more digitally aware culture. As Friedman also pointed out, Coddington’s move was particularly poignant given her status as the living embodiment of the good old days of fashion. Highly recognisable – a shock of orange hair against porcelain skin, the kind of visual branding Elizabeth I would have appreciated – she sketches pictures from the front row while those around her take snaps on their iPhones. She has been central to the industry since the 1960s, first as a model, then as an editor on British and later US Vogue. But what really sets her apart is her determination to create beautiful imagery against all odds, even if it involves batting off commercial concerns or risking the wrath of governments – as in 1976, when she had Jerry Hall pose in a red swimsuit atop a Soviet monument in the USSR, and had to smuggle out the film. In 2009, she became the unlikely star of the Vogue documentary The September Issue, in which she came across as the guardian of artistry in the face of Anna Wintour’s pragmatic commercialism. The influence of these grand gestures is hard to quantify, but it is dwarfed by the reach of social media. As recently as the 1990s, such images were the only way many fashion fans would get to see the work of their favourite designers. Now, they’re one of many channels. One cameraphone snap by Cara Delevingne reaches 25.7 million Instagram users at the touch of a “share” button, while US Vogue’s circulation has remained more or less constant at around 1.2m since Wintour took over in 1988. That said, it is certainly possible for a glossy magazine to reach millions through its photography. In 2014, Kim Kardashian’s Paper magazine cover shoot – in which the reality TV star balanced a champagne glass on her bottom – caused such a furore that it was widely described as “breaking the internet”. Hundreds of millions of people saw the pictures – Kardashian alone has more than 50 million Instagram followers – despite the fact that the magazine’s circulation is just 155,000. US Vogue’s glossy, 20-page fashion editorials, on the other hand, do not really live on the internet. Though a few may be available online, their main home is within the physical pages of the magazine. They offer a mark of difference from the blurry images casually consumed for free on the internet; they help to make fashion magazines escapist paradises suitable for securing high-end advertising. They are designed to be pored over slowly by invested readers, perhaps while sipping red wine in the bath. Only time will tell if such an experience will one day appeal to iPhone-addicted millennials. 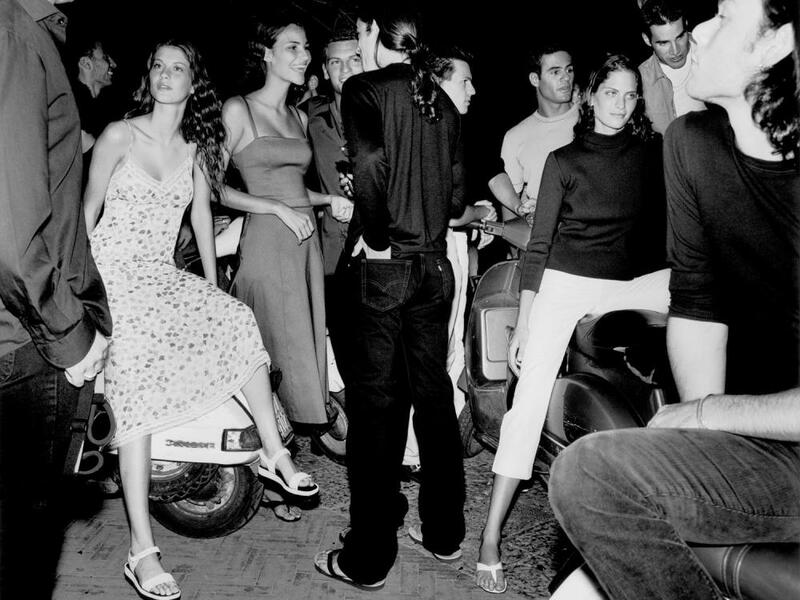 Among the old guard in the industry, glossy fashion photo shoots remain gravely important. Editors and buyers still discuss them reverentially at fashion shows; photographers and stylists use the cachet of shooting for Vogue to secure commercial jobs. They are a measure of power, creativity and cultural clout; a connection to the rarefied worlds of art and photography. Whether or not Coddington’s move will have a tectonic effect remains to be seen, but it shines a light on the deepening divide between the industry’s priorities and readers’ increasingly digital lives. Publishers should use this moment to work out how to maintain their gravitas while producing content that feels – as Vogue might say of this season’s most fashionable shoe – suitably modern and relevant. Most stylists are interested in one specific look, but Grace has extraordinary range. She can do anything from grunge to couture, she understands the point of view of an incredible variety of photographers, and she does simplicity well, but can also go completely over the top. She does everything to an extraordinary level. She has an astounding imagination and a childlike view of fashion, as though she is seeing everything for the first time. She has also broken much new ground because of her longevity. She was the first person to put a model wearing no makeup on the cover of Vogue in the late 1970s – I was her assistant at the time and we received hundreds of letters, “shocked and outraged from Reading”. I don’t think she is afraid of anything – and the same can’t be said of many fashion editors and stylists today. During both her career as a model and her long tenure as Vogue’s creative director, Grace has been respected for her individualism and her understanding of fashion as an expressive medium. She has collaborated with several generations of photographers, modelling for the likes of Frank Horvat, Norman Parkinson and Jeanloup Sieff in the 1960s. Her past experience as a model brought insight to her work on the other side of the camera, for instance with Guy Bourdin, Barry Lategan and Helmut Newton at British Vogue between 1968 and 87. Since the late 80s at American Vogue she has championed the fantasy of fashion, and collaborated with photographers such as Annie Leibovitz, Steven Klein, Craig McDean, Steven Meisel, Mert & Marcus, David Sims, Bruce Weber – to name just a few. It seems that she has never been driven by an interest in consumerism or fleeting trends. In the transient world of fashion, she’s remained true to her unadulterated creative vision. When you talk to some younger creatives, you sense a slight embarrassment about doing fashion – as though it’s a bit cheap and commercial – but for 50 years, in front of and behind the camera, Grace has delighted in fashion photography for fashion photography’s sake. She has worked brilliantly with photographers – having been a model, she had longstanding relationships with the likes of Bourdin and Newton, who would not have dreamed of working for British Vogue had it not been for Grace. She also put Weber on the map. The 1982 shoot they collaborated on (see picture above) was a seminal moment. A tribute to the artist Edward Weston, using non-models, many of whom were shot from behind, it felt like such a departure from the bright colours of so much photography in the 1980s. You just wanted to run through that cornfield, wearing that coat.